For mortgage and commercial brokers, the topical trio of property prices, a national cash flow squeeze and public opinion of the banking sector have combined to create real opportunities to grow their brokerages. It’s just a matter of having the right radar for these prospects. Here are some good tips for starters. Our recent SME Growth Index found that cash flow is becoming an increasingly stressful issue for small business; 79 per cent of business owners said that it was the key problem keeping them awake at night. This is a 10 per cent increase since we last asked this question in 2016. The reality is that even very profitable businesses can fail without adequate cash flow funding support. The consequences of cash flow issues are that one in four SMEs say they have difficulty meeting tax payments on time, and one in five are unable to take on new work due to cash flow restrictions. A staggering 92 per cent of SME respondents said that poor cash flow prevented them from increasing revenue, and analysts East & Partners have put this loss to the national economy at $234.6 billion a year. Businesses go through cash flow peaks and troughs, and many will need an injection of working capital to help them through these times. For example, at one end of the spectrum, brokers can look for clients who have won a big new customer as rapid growth brings the risk of overtrading, where the timing gap between having to pay for expenses and getting paid by customers is too great, causing a potentially fatal cash shortfall. Businesses in rapid growth are constantly looking to add staff, stock or services to keep up with demand and this investment requires additional funding. At the other end of the spectrum, brokers can look for clients whose business models are seasonal, or who are experiencing trading difficulties (such as the loss of a major client) that put a short-term dampener on an otherwise viable business. These SMEs are prime candidates for funding options that see them through those challenging times and smooth out the cash flow fluctuations. Problems such as meeting urgent creditor payments or ATO arrears can be solved. There are many circumstances in which a business owner would seek funding, whether it is to fuel growth, free up the family home, avoid the cash flow issues created by slow-paying debtors or if they’ve outgrown existing facilities. There are also times when an SME has maxed out their buying power and need more funding so they don’t have to turn away new business. Then there’s the end of the business life cycle, where business owners want to transition the SME into the hands of family members or management. Invoice finance funding can help in all these situations. Also known as debtor or receivables finance, this involves an SME providing invoices issued, and the funder advances around 85 per cent of the invoice value immediately; once the client pays, the funder pays the remaining invoice value less fees. This is a popular funding method in sectors as diverse as labour hire, road haulage, manufacturing, wholesale and import/export. Invoice financing supports the SME client’s revenue growth — meaning a strong broker gain upfront and for the life of the loan. With residential lending and property prices stagnating, SMEs will increasingly have to turn to alternative ways to secure funding to fuel their business. Going to your bank usually means tying up property security, and that’s if the bank is even interested. Traditional lenders have tightened lending criteria considerably, and this is likely to continue in the aftermath of the banking royal commission. One method that is attractive to both brokers and their clients is invoice finance, where invoices issued under credit terms are used as an asset against which a lender, such as Scottish Pacific, can secure the business loan they provide to an SME. There are just over two million SMEs in Australia, presenting mortgage and commercial brokers with one of the biggest opportunities for business growth and diversification. Many commercial brokers are already on board, along with forward-thinking mortgage brokers. For mortgage brokers who haven’t yet taken this step to diversify, I’d suggest you run a check on how many of your mortgage clients are small business owners, and start the conversation about their funding needs. 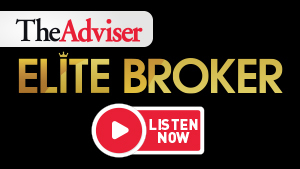 Scottish Pacific has joined forces with The Adviser's popular SME Broker Bootcamp events to offer a masterclass for brokers on spotting opportunities with SME clients. As well as talking about unlocking cash for the business via invoice finance, Scottish Pacific will be highlighting how brokers can help clients with solutions for purchasing equipment, importing supplies and selling overseas. There are even opportunities to facilitate traditional property transactions through leveraging self-employed borrowers' business assets — perhaps making the difference in whether a property transaction stacks up. 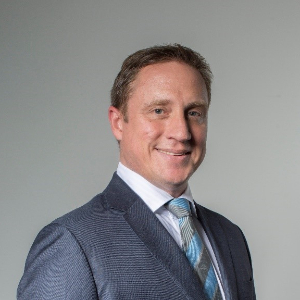 Justin Doczy is General Manager NSW/ACT for Scottish Pacific, Australasia’s largest specialist working capital provider, helping thousands of business owners with the working capital they need to succeed. Scottish Pacific lends to small, medium and large businesses with revenues ranging from $500,000 to more than $1 billion.